As one of the most prosperous British colony in the Caribbean region, Cayman Islands prove itself to be heaven on Earth – with its crystalline waters and luxurious beaches that attract millions of tourists every year. Aside from being a popular tourist destination, Cayman Islands is also known worldwide as an offshore financial center, making it all the more appealing to expats who are planning to move into this British Overseas Territory. The Cayman Islands are three small islands with around 55 thousand inhabitants, lying in the Caribbean Sea south of Cuba. They are an Overseas Territory belonging to the United Kingdom, yet they have their parliament, constitution, and currency, the Cayman Islands Dollar, which has been pegged at the rate of $1.20 US since the year 1974. Christopher Columbus first sighted the islands in the year 1503, but they seem to have remained unsettled (except by turtles) until the mid-1600s when English began to live there. From 1670 until 1962 the islands were administered from Jamaica. The English settlers were soon outnumbered by their African slaves, and most Caymanians today are of African or mixed descent, as elsewhere in the Caribbean. Because the Cayman Islands are a tax-free area, many people do offshore banking here. There are a lot of hurricanes that hit the islands. The larger island, Grand Cayman, has 95 percent of the population and is about 75 miles away by water from the two smaller islands. There are some species of parrot and iguana that live only in the Cayman Islands, among other animals. The official language is English, and the population are overwhelmingly Christian. It is still popular to sing Christmas carols on Christmas Eve in the Caymans. Every May, there is a carnival held called Batabano with an adults' parade and a children's show. There is also another festival that has been held in November, starting in 1977, called "Pirates Week". Cooking in the Cayman Islands is a Caribbean style, using ingredients such as plantain, breadfruit, cassava, curry and jerk seasoning. Fish and turtle meat are also used in the preparation of some dishes. Almost half of the population of the Cayman Islands are foreign workers. The largest number are from Jamaica, followed by those from the UK, the US, and Canada. To get a work permit in the Cayman Islands, a candidate must have a job offer already, for a job that cannot be filled by an islander, and he or she must pass a criminal background check and a health exam. Under a controversial new government policy, most foreign workers are limited to 7 years on the Cayman Islands, and then they may return for another seven years only after spending a year elsewhere. The school is required for all children on the islands between the ages of 4 and 16 years old, and there are several schools present, including even a public University. The Cayman Islands is a British Overseas Territory in Jamaica located in the western Caribbean Sea. There are three beautiful islands that you can choose from once you have made up your mind to relocate: The Grand Cayman, Cayman Brac and Little Cayman. All of these are known for having undeniably beautiful beaches, warm summers and cool rainy seasons. You will never feel so different in Cayman Islands because 20% of its population is made up of expats like you. Though you can look for real estate listings online or in the newspaper, it is more practical to inquire the help of a professional realtor when looking for a house/apartment in the Cayman Islands. Aside from it will save you a lot of time; the service is free because property owners hire them to find tenants like you. They will drive you around the island and show you options depending on your needs and budget. Most units are already furnished with the utilities already included in the rental cost. The average monthly price for water is €90, €180 to €450 for electricity, and €90 for the telephone. Another service like local prepaid mobile is billed roughly €0.45 per minute. Your internet connection with a speed of 10mbp is around €120 per month. There are different kinds of housing available in Cayman: condominiums, town homes, family homes, apartment complexes and rooms for rent inside a larger property. If you are searching for short term rental, you can opt for the apartment complex and room rentals. The most common type of housing for long-term tenants are the three bedroom condos or townhouses and five bedroom family houses. 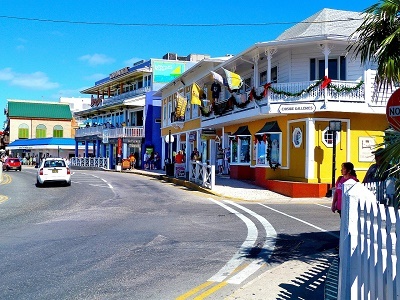 George Town is the capital of Cayman and where you will find the most number of expats. It is a convenient place for you and your family to live in since it is the centre of the island. There are shopping malls, supermarkets and just a little outside the city is the Queen Elizabeth II Botanic Park. The estimated rental cost per month in George Town is €500 to €800 for a one bedroom apartment, €1000 to €3000 for a two bedroom and €2000 to €2500 for a three bedroom apartment/house. 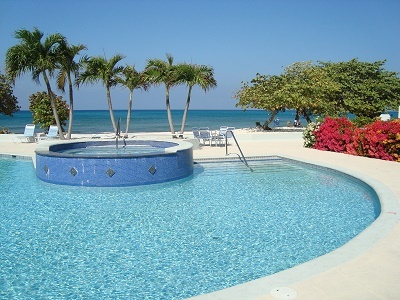 Another popular suburban area in Cayman is the district of West Bay. Located in the North End of the famous Seven Mile Beach, you will find this place perfect if you want to live near restaurants serving sumptuous dishes with a lively city vibe and active nightlife. The average cost of a one-bedroom apartment in West Bay is between €500 to €800, €700 to €2600 for a two bedroom and €1300 to €4800 for a three bedroom apartment/house. You can enrol your children in Pre-school as soon as they hit the age of two and are mandated by the government to reach Year 12. If you are relocating in Cayman as an employee of a private sector and earns over €3000 per month with two declared dependents in your permit, you need to enrol your child in a private school as per government stance. Expats that are employed by the public sector have the option to register their kids in public schools if there is still space. There are international schools that can cater to the needs of your expat children. There is the Cayman International School and the Montessori School of Cayman. Some of the local schools that you can choose from are the Cayman Prep and High school and the Triple C School which is providing quality education since 1941. Once you are done in choosing a new home, next thing you need to do is to contact a shipping and removal company to help you import your belongings to Cayman. You can choose between international and local companies to assist you every step of the way. The cost of service and shipping time usually depends on the quantity, weight and originating country of the package. However, the average time frame for delivery to Cayman is 3-4 business days for express shipping and 5-10 business days for economy shipping where containers are expected to arrive in the Port of Georgetown in Grand Cayman. All dogs and cats being brought to the Cayman Islands are required to have an import permit from the DOA (Cayman Islands Department of Agriculture). It is important to contact DOA immediately after you have decided to bring your pet since the pet relocation process is a bit lengthy. You contact them through email at ci.agriculturevs@gov.kyor through telephone (345) 947 3090 and Fax: (345) 947 6501 for further instructions. When everything’s said and done, all you need to is to relax and prepare yourself for a lifelong stay-cation in the Cayman Islands; a paradise on earth in the Caribbean. The Cayman Islands, is composed of three islands: Grand Cayman, Cayman Brac, and Little Cayman. Originally uninhabited until the 17th century, the islands were made up of various immigrants in the form of pirates, refugees and sailors who were shipwrecked. The country features more registered businesses than people, with most of the population residing on the Grand Cayman. One of the richest territories in the Caribbean region, Cayman Islands boasts of a thriving economy with a low unemployment rate of 6.2%. Most of the working locals and foreign nationals are employed in the Services sector, accounting for 79% of the island’s workforce. The island’s main industries that fuel the economy and provide employment are Tourism, Financial Services, and Construction. Because of its strong economic condition and famous majestic beaches, Cayman Islands has a great number of foreign national workers and residents from all over the world. As of 2012, Cayman Islands has a labor force of approximately 39,000 – 20,000 of which are non-Caymanians. Foreign nationals who wish to work in Cayman Islands are required to have a valid work permit issued by the Immigration Department. This is applied for by the prospective employer of the foreign national. However, before the employer can process the work permit, they should be able to demonstrate to the Cayman Islands Immigration Department that after having registered the position at the Department of Employment Relations and locally advertised the position, no suitable Caymanian national can fill the job. Only then will a work permit for an expat be processed, but the approval is still under the discretion of the Immigration Department. Foreigners should take note that work permits are issued only for a specific position and a specific employer. Those who plan on resigning and applying for a new company will have to undergo another work permit application and approval from the Cayman Islands Immigration Department. According to the Immigration Department, foreigners who are still processing their Full Work Permit (FWP) are not allowed to stay in Cayman Islands, but those who are already employed in the islands and are in possession of a Temporary Work Permit are exempted. In this case, the employer must apply for the Full Work Permit of the expat worker before the Temporary Work Permit expires. 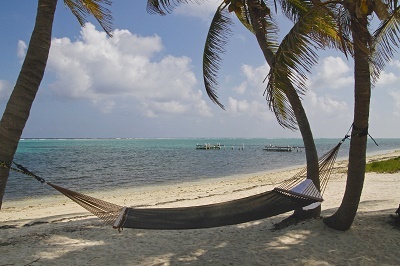 Dependents of the foreign national are not automatically entitled to stay in Cayman Islands. They must be named dependents first on the work permit of the expat worker and this must be applied for separately at the Immigration Department. The general work week in Cayman Islands is forty-five hours or nine hours a day. While workers enjoy a tax-free salary, Cayman Islands does not have a minimum wage in place that is said to have led to low labor costs, especially those who are employed in the Construction sector. Foreign national workers in Cayman Islands who are employed in high-end jobs and professional industries are compensated with competitive salaries and bonuses, hence the Island’s popularity among prospective expat workers. The majority of employment opportunities in Cayman Islands for locals and expats alike are in the sectors of financial services, tourism, construction and law – which are also the main industries that fuel the economy of this British territory. But since the government’s priority is hiring Caymanian nationals, it can be a challenge for foreign nationals to find a company who can employ them and apply for their work permit in the island.